This painting, as much of my work, portrays dramatic light and is influenced by both realism and California impressionism. The presence of the small sea bird suggests a spiritual theme as well as the title, "Winging Home." Although warm colors predominate, there are hints of blue in the waves for complimentary punch. 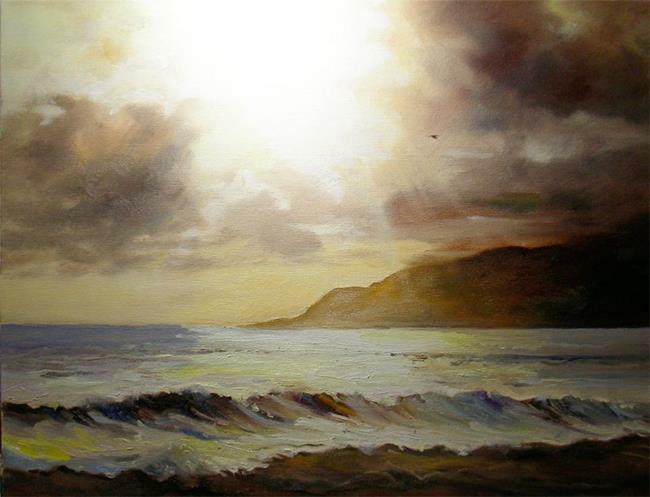 I kept the brushwork loose and fluid to suggest the activity of the surf.